It’s been 12 (we know) years since Desperate Housewives appeared on a screen, creating a new type of soap opera – drama – satire hybrid, with some mystery thrown in (why not), and becoming an instant hit. The show, which followed along the lives of a group of women and their families over the span of 13 years – so, as you can imagine, the cast has changed a lot during the show’s 8 seasons, anyway. But, since it’s been past a decade since we said goodbye to the residents of Wisteria Lane, we thought we are past due, and decided to give them a visit. Just like with any cast on any show 10 or 12 years onward, some have gone on to do bigger things and become household names (Eva Longoria?) and some… well, we haven’t seem them in a while. Either way, however, the show was groundbreaking, in that it combined an element of satire and self-referential humor (both a nod and a defiance to the already satiric Stepford Wives, which gave producer Marc Cherry the idea for the show). Also, it gave way to the unforgettable (like it or hate it – they were unforgettable) reality TV series franchise Real Desperate Housewives (of OG, Atlanta, Dallas, Miami, and many more – including numerous international installations! ), which, in a move that, well, kind of missed the fictional show’s point, followed along actual housewives of wealthy husbands and documented (or scripted?) their lives. Desperate Housewives won immense critical acclaim for its subtle writing, strong production value, original scripting (the show is told in a nonlinear fashion, showing events from 2004-2008 and then 2013-2017, with flashbacks to the 80s and 90s) and powerful acting. It has won multiple Emmy, Golden Globe and SAG awards, individually to the actresses who made up the cast and to the producers, directors, and writers, as well as to the show as a whole. Desperate Housewives was a mainstay in our lives for 8 seasons. Maybe people became addicted to the show’s unique mystery-parody style and wouldn’t miss an episode. And considering Netflix binging didn’t even exist then, the fact it kept its audience so riveted for so long is pretty amazing. Also, and very importantly, the show was led by an all-female cast, showcasing complex, layered and intense characters of women, which is still a rarity on television. For this and all it was, let’s take a look at what some of the stars of the show are doing (and how they are looking) 12 years after the season finale. Teri Hatcher portrayed Susan Mayer, the “girl next door” type – but with a dark twist. Mary Alice young, who narrated the show (and appeared in its finale) said about her that it was known that wherever she goes, bad luck follows – “Her misfortunes ranged from the commonplace, to the unusual, to the truly bizarre.” Susan goes through life yearning for as much drama as possible (and was confronted by a few characters for it). Her daughter Julie is often the parental one in the relationship. Teri Hatcher caught her big break as Lois Lane in the popular TV show Lois Lane: The New Adventures of Superman. She played Paris Carver in the Bond film Tomorrow Never Dies, and after Desperate Housewives had roles in Smallville, Supergirl, Two and a Half Men, and the film Coraline. She faded out a bit after Desperate Housewives, though she was considered the lead of the leads and won numerous awards. She has a daughter, Emerson. Bree Van de Camp, played by Marcia Cross, was hailed by critics as a layered and complex character, and through her story, several issues (such as adoption, divorce, and even OCD) were discussed. She is a perfectionist to the umpteenth degree and is portrayed as having a strong work ethic and strong persuasion, though she is extremely neurotic. A lot of Bree’s story is made up of her past with her father and stepmother, with whom she did not get along. Marcia Cross began her career in a real soap opera, or really several: The Edge of Night, One Life to Live, and Another World, before starring on the hot TV show Melrose Place (on which Desperate Housewives producer Marc Cherry worked, as well). She resumed acting in small parts following Desperate Housewives, after she had her twin daughters, Eden and Savannah. She currently has a recurring role on the Netflix TV show Quantico. The ultimate family woman, Lynette Scarvo, portrayed by Felicity Huffman, is the wife of Tom, with whom she has six children, and is a stepmother to his daughter from a one-night-stand years before he met her, Kayla. Scarvo’s last pregnancy had a complication in which one of the twins died. A bit different from the other characters on Wisteria Lane, Scarvo is devoted to her family, until intense mysterious elements undo what she thought was her entire secured life. Felicity Huffman was probably the most famous actress of the four leads before the show went on the air: Best known from her role on Sports Nights, she won international acclaim after the show for her portrayal of Sabrina in Transamerica. The role won her an Academy Award, among others. She is famously married to actor William H. Macy, and the two have two daughters, Sophia and Georgia. She also co-authored a book, The Guide to the Boyfriend, and continues acting with her latest project being the film Krystal. In a way, Mary Alice Young is the protagonist of the show, its narrator and seer of insecurities and vulnerabilities in the characters, and an all-knowing narrator at that, who is aware of the causes of murders and misfortunes and dramas that ran through the show. Though deceased since the show’s first episode, Mary Alice, portrayed by Brenda Strong, has leading storylines throughout the entire show, told in flashbacks, by her, and her friends, husbands, and children. Before her untimely death she was incredibly kind hearted, sweet and caring. Brenda Strong is a fairly unknown actress; in many circles she is known more for her yoga instruction than for her acting, despite the fact that her participation in the award winning show brought her critical acclaim. Strong had a supporting role in several films and TV shows (such as Sports Nights, the TV show Felicity Huffman starred in) and still occasionally acts, but mainly works as a yoga instructor and fertility expert in LA’s Mind/Body Institute. She has a son, Zakary. On the surface a calm and friendly neighbor, Mike Delfino, portrayed by James Denton, was secretly looking for his missing ex-girlfriend, helping the show’s main murder-mystery plot from the pilot. Mike poses as a plumber, but is actually a hitman, and the vicious stories beneath the surface start to unravel as the drama becomes more clear with his character developing a romance with Susan as his motives remain unknown. He later on appears as a spirit on the show, joining Mary Alice and others, in the series finale. James Denton’s work on Desperate Housewives is his most famous work to date. He appeared in guest roles on numerous TV shows, such as JAG, Ally McBeal, The West Wing, Hot in Cleveland, and Tortured, but remains fairly absent from acting since the show’s departure. Denton was born in Tennessee, close to Nashville, and was raised Southern Baptist, becoming a Minister of Music at his church. He is married to a fitness trainer, Erin O’Brien, and they have a son and a daughter. The family relocated from California to Minnesota after Desperate Housewives ended. Angie Bolen, characterized by cherry as a “strong but loving Italian woman”, starred in the show on its 6th season. Her storyline had to do mostly with her family, husband Nick and son Danny, and on the surface, she is portrayed as dealing with pretty much family matters. In the show’s flashback, however, it is revealed she and her husband are fugitives from a terrorist organization and are living under aliases. The character departed the show after season 6. 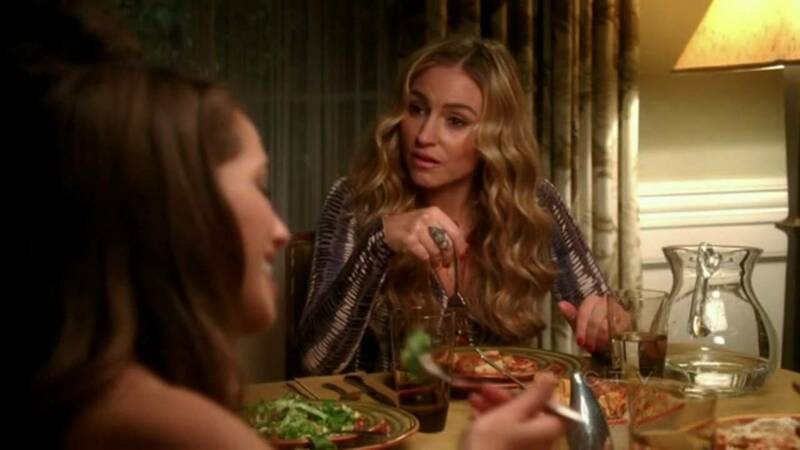 Drea de Matteo is known for her work on the NBC satirical sitcom Joey, where Matt LeBlanc reprised his role as Joey Tribbiani. She is also known as her role as Adriana La Cerva on The Sopranos, for which she won an Emmy award and critical acclaim. Matteo was born into an artistic family: her mother is playwright Donna de Matteo. Her father is the CEO of Avery Boardman and Carlyle. De Matteo has her own clothing store in NYC. She has a daughter, Alabama, and a son, Waylon. Rex Van de Camp is the first husband of Bree, whom he met in an organization event of Young Republicans in college, and the father of Andrew and Danielle. His biggest storyline is on season 1, where he asks Bree for a divorce. When she refuses, he begins an affair with Missy Gibbons, and then suffers a heart attack. After a second one, he dies, but in best Desperate Housewives tradition, becomes a spirit who helps navigate the story along, also taking place in flashbacks and explanations of previous storylines. Actor Steven Culp, who portrayed Rex, was well known for two major roles: Clayton Webb on JAG, and Speaker of the United States House of Representatives Jeff Haffley on NBC’s The West Wing. Culp was also a part of the CSI franchise in a recurring role. Steven Culp was born in La Jolla, California: both his father and in stepfather were in the US Navy. His half-sister, Kathryn, was murdered in Richmond, Virginia, along with her husband. Maiara Walsh played Ana Solis on the show’s 6th season, the niece of Carlos Solis. She moves to Wisteria Lane to stay with her uncle after her grandmother could no longer take care of her. She has a strained relationship with Gabrielle, especially after witnessing a kiss between her and her lover John. Gabrielle’s unwillingness to become Ana’s legal guardian along with her husband causes further strain between them, and eventually, Gabrielle sends her away under false pretenses. Maiara Walsh is an actress and a singer, who started her acting career in Disney’s Cory in the House, and is also known from playing Simone Sinclair on the ABC drama Switched at Birth. Walsh was born in Seattle, but her family moved to Sao Paulo when she was 2; she returned to California to pursue an acting career at age 11. She was the female lead in Zombieland, though the pilot was not picked up. She is currently filming season 5 of TV series The Last Ship. Vanessa Williams joined the series late into its 7th season, and portrayed Renee Perry, a spoiled rich woman who took the place of the drama maker and plot line twister Nicolette Sheridan left behind when she departed the show after season 5. She becomes good friends with Lynette Scavo, discovering she has a soft side for children after all, though initially she portrays the epitome of luxury and lavish, an almost-vicious, uncaring, “queen of the world type”. Vanessa Williams says she was a fan of the show before joining. Vanessa Williams is an international superstar actress and singer. She initially became recognized as the first African-American woman to win the Miss America pageant. She started off as a singer, releasing consecutive hits in the late ‘80s and in the ‘90s, and later going on to acting, most notably appearing on the TV show Ugly Betty as the antagonist. She appeared on The Mindy Project, Hannah Montana, The Good Wife, Broad City, The Librarians, and guest starred on Modern Family. She has a net worth of $28 million. Carlos Solis, portrayed by Ricardo Antonio Chavira, is one of the original characters of Desperate Housewives, husband to Gabrielle for most of the show. Solis starts off the show by pushing Gabrielle into having a family, so much so that he replaces her birth control pills with sugar pills. He is tried for assault of two men he thinks are having an affair with Gabrielle (she is actually having an affair with John); becomes blinded; becomes father to Juanita and Celia; and eventually commits the ultimate crime. Like many actors on the multi-cast show, his role as Solis is Ricardo Antonio Chavira’s most notable role, and he fell off from acting after the show ended, guest starring on few shoes, such as Castle, Santa Clarita Diet and Welcome to the Family; he was in films Piranha 3D and The Alamo. Chavira is married to Marcea Dietzel, and has two children: Tomas and Belen. They decided to marry after 18 years together. He is a supporter of breast cancer awareness. Jesse Metcalfe plays John Roland, a gardener, who is having a long-term affair with Gabrielle Solis. When Gabrielle becomes bored with her husband never being with her, she seduces John, but the affair turns serious as the two continue their romance. Witnessing on Carlos’ trial, he states that Carlos “got the wrong guy”, and when Carlos discovers their affair, he attacks John. The character isn’t seen again until the 3rd season and then sporadically until the 6th, in a flash forward, when he meets Gabrielle, Carlos, and Ana in his restaurant. Jesse Metcalfe’s most notable roles, before that of John on Desperate Housewives, was that of Miguel on Passions, and the lead on John Tucker Must Die. He continued with Passions right up to Desperate Housewives’ premiere. He starred alongside Amber Tamblyn in the film Beyond a Reasonable Doubt, and played in the NBC drama Chase. In 2008, he hosted The World Music Award in Monaco. He had dated Nadine Coyle of Girls Aloud, and is currently engaged to Cara Santana. Julie Mayer, portrayed by Andrea Bowen, is the daughter of Susan Mayer (later Delfino) from her first husband, Karl. She lives mainly with her mother. Originally appearing on the pilot episode of the show in 2004, Julie is incredibly close to her mother, and oftentimes takes on a parental role in the relationship, helping her mother with anything from dating advice to life and existence questions. She later resents the drama. The character is present throughout the show, and in the final episode, has a daughter. Andrea Bowen was only 14 when the pilot of Desperate Housewives aired. Much like many of the kid actors of the Wisteria Lane families, she grew up on set, though her character was not central in all seasons. She played a critical role in the first seasons, however, and since the show’s finale, went on to acting in various supporting and recurring roles on shows and films such as One Tree Hill, Law & Order, and Eye of the Dolphin. All of her siblings are actors, as well. Juanita Solis is the daughter, or later on legal daughter, of Gabrielle and Carlos Solis. She was meant to be born in the 5-year-gap the show created between events in season 4 and 5. Juanita is a young girl and has a sister, Celia; on season 7, Carlos discovered she was switched at birth, and that her biological parents are Hector and Carmen Sanchez. He keeps this hidden from Gabrielle, however, but after Bree accidentally runs over Juanita, tells her the truth. One of the greatest joys in looking back to a series that was a mainstay in our lives for so long as Desperate Housewives did is to see a real difference in the young actors who grew up on set. 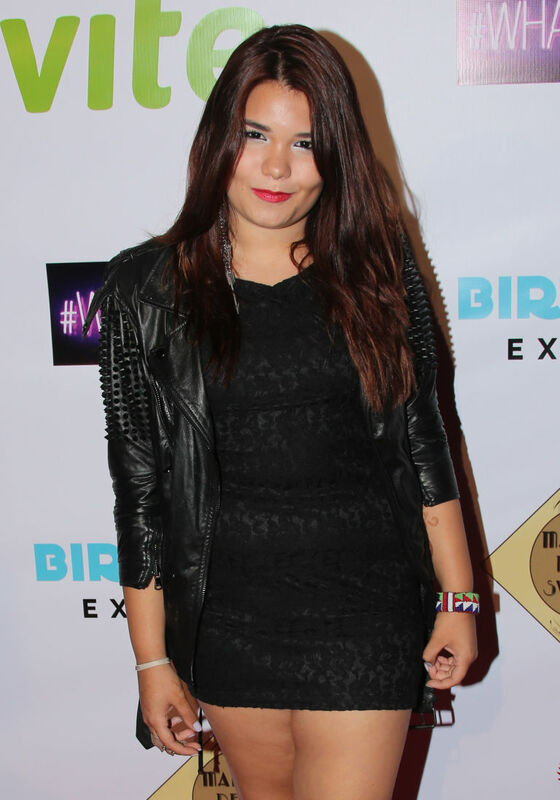 Madison de la Garza, who played Juanita, is only 16 years old. She is the daughter of former Dallas Cowboys cheerleaders Diana de la Garza. The now unrecognizable de la Garza continues her acting career in Hollywood. She is Demi Lovato’s half sister. Eva Longoria portrayed Gabrielle Solis. Solis is a difficult character with a difficult past: her father died when she was five, and her mother’s new partner abused her throughout her teenage years. When no one believed her claims, she ran away from home at 15. Solis is involved in what probably is the most dramatic, in the soap opera sense, plot point of the show: her daughter was switched at birth in the hospital, and is not her real daughter. In the finale, she starts an online shopper company. Eva Longoria is perhaps the most famous of the “after” Desperate Housewives core cast, certainly a household name following the show. She starred in several shows and films following the finale of Desperate Housewives but is more well known for her other ventures. She had a share a restaurant that went bankrupt and produces her own clothing line. She is also known for her philanthropy: working for OmniPeace and UNICEF and advocating for immigrants rights. 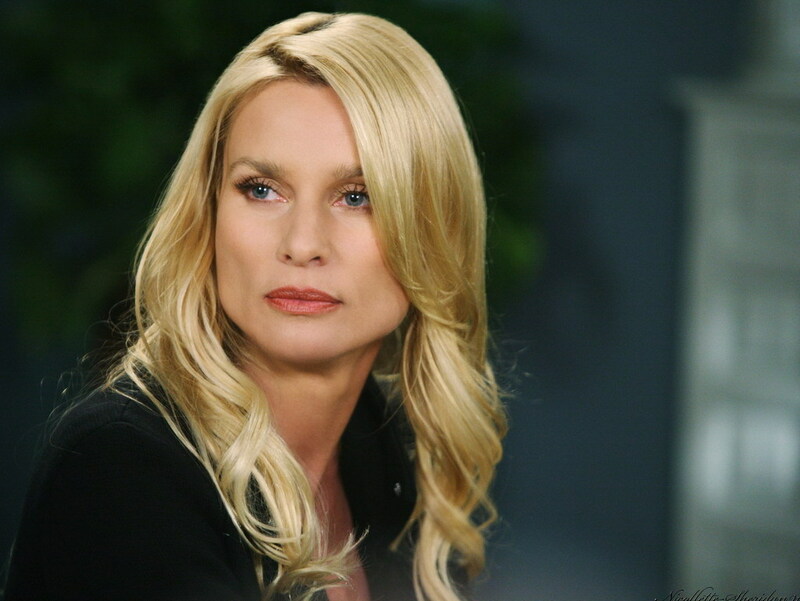 Nicolette Sheridan played the temptress character Edie Britt, a real estate agent who lived on Wisteria Lane. Throughout the show, she is responsible for many of the pivotal, strange and mysterious plot twist – particularly the murder mystery elements – not to mention numerous affairs with the husbands and ex (and current) lovers of the residents of the street. Sheridan left the show after its fifth season, but returned for the finale of season 8, to pay homage to the characters and story. Nicolette Sheridan is a British actress and model, known for her many roles in soap operas before she landed the part in Desperate Housewives. Despite her portrayal of a very popular character, Edie, who (literally) got away with murder, Sheridan left the show on its fifth season on bad terms, filing a lawsuit against Marc Cherry that included charges of assault and battery. She was married to actor Harry Hamlin.